The Ballarat Wildlife Park encourages the use of its facilities for the educational benefit of all of its visitors. We particularly aim to provide schools with the opportunity to experience The Ballarat Wildlife Park as your ‘Environmental Classroom’. Our aim is to help students have an authentic learning experience, whereby they are able to link learning experiences they have within the school environment with those outside of it. At the Wildlife Park there is plenty of opportunity for students to engage educationally in learning about the wildlife that is present. Around the park students can discover facts and details about the animals through observation, hands-on/ experiential learning and the information signage available, as well as through listening to tour guides and staff members. The bushman’s hut provides a perfect workshop in a stimulating environment, for students to complete tasks and be given instructions. 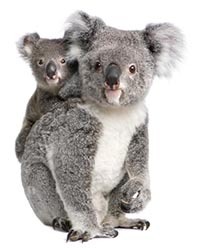 The following Education Resource Package has been designed to assist schools & teachers with organising excursions to the Ballarat Wildlife Park. The document has been separated into individual sections to allow easy access to individual information.